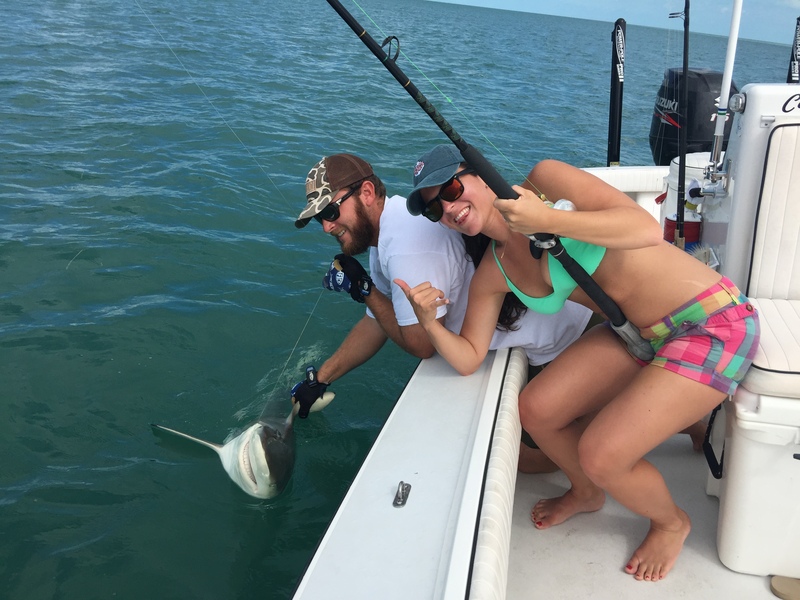 Shark fishing is a very popular thing to do on your fishing adventure in Key West. 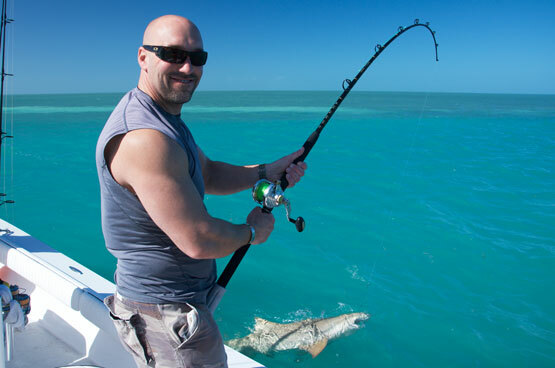 There are many different ways to go shark fishing, as well as many different species of sharks in Key West. Many of these sharks are solo predators but we also have areas where we see them in schools. Lemon sharks seem to be the most common sharks in the backcountry, as they come up to the boat in schools of a few fish. There have been times where lemon sharks have surrounded the boat so thick that you can’t even count them all! Tackle used for these sharks is usually pretty heavy, considering that you want to stop these predators before they run all of your line out! Bonnet head sharks are manageable on smaller tackle because they only get about 3 feet long. Sometimes we can find other species of sharks in their adolescent stages where light tackle can be used to enhance the fun! Most shark fishing is done by hanging out in a channel or on the edge of a grass flat where many sharks are known to be. Chumming with fresh fish seem to be the best way to entice sharks. More bloody or oily fish will work best in these scenarios. Shark fishing charters are typically 4-6 hours long, if going just for sharks. If you’d like to fish for other species of fish in the backcountry and then leave time for ample amounts of shark fishing, a 6-8 hour charter is more beneficial.